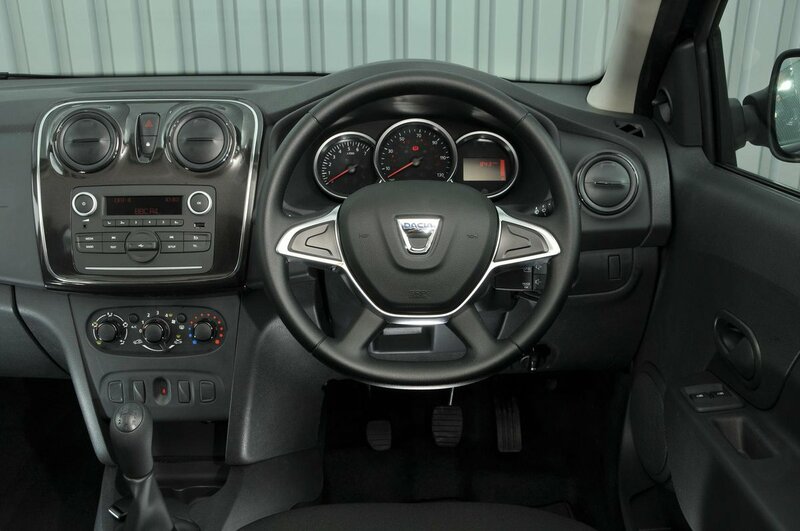 Dacia Sandero Interior, Sat Nav, Dashboard | What Car? You have to make your way up to range-topping Comfort trim before the driver gets a height-adjustable seat. Without this feature, fine-tuning your driving position is quite difficult. 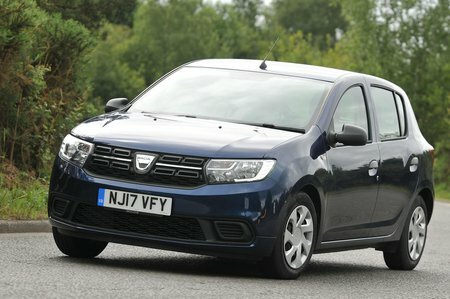 Making the situation even worse is the fact that the Sandero's steering wheel only moves up and down (not in and out). The driver’s seat itself isn’t particularly comfortable, with quite a flat base and little side bolstering or lower back support. At least the pedals are well positioned in line with the wheel, so you aren’t forced to sit at an angle. Every Sandero gives you a good view forwards. The windscreen pillars are thin enough that they don’t obstruct the view out, and the window line low enough that you can see the road just ahead of the car, making junctions and roundabouts that bit easier. It’s the same story when looking over your shoulder. Again, the Sandero’s rear pillars are pretty slim and the rear side windows are tall enough to offer a decent line of sight. There's extra reversing help from the rear parking sensors you get on the range-topping Comfort, and you can add a reversing camera if you're prepared to pay a bit extra. If you’re looking to save money by going for entry-level Access trim, don’t expect anything much standard kit. At all. You don't even get a radio; just a rectangular hole in the dashboard. Mid-spec Essential models have a basic DAB radio with a monochrome screen. It's easy enough to use, but doesn't come with any smartphone mirroring apps. However, you do get Bluetooth and a USB socket to charge your phone on the move. Range-topping Comfort trim brings a 7.0in touchscreen system with sat-nav, Apple CarPlay and Android Auto compatibility. It’s responsive to use, the graphics are clear and the menus are really easy to get to grips with; pairing up your mobile phone via Bluetooth takes no time at all. You get what you pay for, they say. Well, that's certainly true when it comes to the Sandero's interior quality. True, there are some flashes of chrome on the dashboard if you go for Essential trim or above, but don’t expect much in the way of soft-touch materials or fancy detailing. What you will find is lots of hard, grey plastic, although at least everything feels solidly screwed together. The range-topping Comfort model features a leather-wrapped gearknob and graphite-coloured trim on the doors and dashboard, but it’s still a pretty uninspiring place to sit. 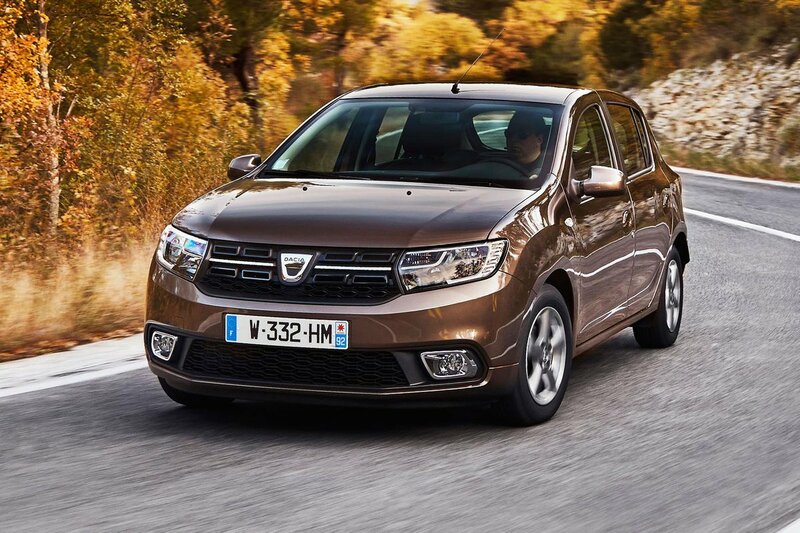 A 'soft-feel' steering wheel is available as on option on Essential and Comfort (as part of a Comfort Pack with electric rear windows) and helps the Sandero feel a little less low-rent inside.